Bosslady Blog: The Latest GDC 2009 Additions! Hopefully by now, the news of GDC 2009's first announced keynote has made the rounds as far as... you. But if you happen to live on the planet formerly known as Pluto, let me bring you up to date. Satoru Iwata, President of Nintendo Co., Ltd, will deliver the opening keynote at this yearâ€™s GDC, titled â€œDiscovering New Development Opportunities.â€ Mr. Iwata has spoken at GDC twice already and always manages to surprise and inspire. Canâ€™t wait to see what heâ€™s got to say this year! For anyone who happens not to be a morning person, please take note: Iwataâ€™s opening keynote on Wednesday, March 25th will begin at 9:00 am. GDC keynotes have historically started at 10:30 am, but we thought it would be nice to open the main conference with everybody gathered in one room. Expect bonding - hand holding not required. Another neat new thing weâ€™re doing this year is the GDC Vault. This new site will host video/slide/audio sync-ed recordings of all GDC Summits, Lectures and Panels, and will be available for online streaming one week after GDC this year. Not only is this quite a task (weâ€™re recording 250 sessions), but it's free to GDC 2009 All Access pass holders. You need never miss another GDC session again - like I said, neat. 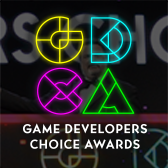 The 2009 Game Developers Choice Awards, the highest honors in game development acknowledging excellence in game creation, have named the recipients of two of its special awards, while also revealing that popular host of the 2007 Awards and Double Fine founder Tim Schafer is returning to present this year's Choice Awards. Harmonix co-founders Alex Rigopulos and Eran Egozy, co-developers of a groundbreaking decade-plus long line of music games culminating in the Rock Band franchise, will receive the Pioneer Award for their work. In addition, Tommy Tallarico, co-founder of the Video Games Live concert series and founder of the Game Audio Network Guild (G.A.N.G. 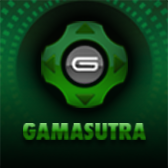 ), will receive the Ambassador Award for helping to advance the game audio community. Think Services Game Group and Reboot Communications have revealed new details on this May's GDC Canada, including an advisory board including EA, Next Level Games, Radical, and BioWare execs, as well as a track line-up based around the production schedule of video games. According to NPD Canada, the Canadian game industry grew by 23 percent in 2008, reaching C$2.09 billion in revenues. GDC Canada plans to serve this fast-growing region by providing a forum for Canadian developers to share best practices for fostering ingenuity and quality within their globally distributed games. Game Developers Conference 2009 (organized by Think Services) is set to take place in San Francisco's Moscone Center from March 23 to 27, 2009. With nearly 280 sessions now confirmed for GDC 2009, we'll be taking a track by track look at the conference's line-up over the next few weeks. Fourth on the list is GDC's Programming Track, which will focus on the "ever increasing challenge to produce games that capture the attention of the public and the media," as well as the opportunities presented by "mature consoles, new handhelds, a highly competitive sales environment, and increased demand for very high production values in games." Satoru Iwata, President of Nintendo Co., Ltd. will deliver a keynote address at the 2009 Game Developers Conference, kicking off the main conferenceâ€™s schedule of lectures, panel discussions and roundtables. The address, â€œDiscovering New Development Opportunities,â€ marks Iwataâ€™s first return to the GDC keynote stage since 2006. The Game Developers Conference takes place March 23-27 at the Moscone Convention Center in San Francisco. The organizers of the Casual Games Summit at the 2009 Game Developers Conference have revealed speakers and sessions for the two-day March summit, with notables from PopCap, EA/Pogo, Oberon Media, Playfirst and more discussing the state and future of casual games. The GDC Casual Games Summit will take place on Monday and Tuesday, March 23rd and 24th, 2009 at the Moscone Center in San Francisco as part of Game Developers Conference. This always popular Summit returns to GDC with a broad range of topics that reflect the increasingly diversified casual games industry. CGS' theme for this year is based on the dueling business strategies from the book 'Blue Ocean Strategy', by W. Chan Kim and RenÃ©e Mauborgne. 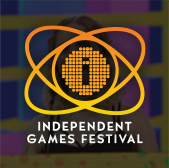 The Independent Games Festival Mobile (IGF Mobile), an event that celebrates innovation in games for handheld devices, including mobile phones, DS, PSP, iPhone and iPod touch, has named the finalists for the second annual competition. The number of entries more than doubled â€“ to over 100 â€“ compared to last yearâ€™s inaugural competition, bolstered by a strong showing from the emergent iPhone and iPod touch platform â€“ so much so that a special â€˜Best iPhone Gameâ€™ category has been designated for the titles which best use the unique possibilities of the device. Winners of the 2009 IGF Mobile competition, who will get a share of $30,000 in prize money, will be announced at a special ceremony during the Game Developers Conference (GDC) Mobile conference on March 24, and additionally honored during the main Independent Games Festival Awards on March 25, 2009. Some of the leading finalists for this yearâ€™s competition include stylish iPhone cube movement puzzler Edge (3 nominations), the technologically cunning Wardive on Nintendo DS, which uses local WiFi hotspots to generate enemies (3 nominations), and elegant iPhone â€˜tower defenseâ€™-style title Fieldrunners (3 nominations). The organizers of the Game Developers Conference 2009 announced that ngmoco founder and CEO -- and former Electronic Arts executive -- Neil Young will provide this year's GDC Mobile keynote. In his speech, titled "Why the iPhone just changed everything," Young will discuss Apple's platform and its effects on the mobile games industry. Young's session summary describes the iPhone as "the most exciting innovation of the last year," and likens its launch to the introduction of industry-defining consoles like the Atari 2600, the Nintendo Entertainment System, and the Game Boy. Game Developers Conference 2009 (organized by Gamasutra parent company Think Services) is set to take place in San Francisco's Moscone Center from March 23 to 27, 2009. Third on the list is GDC's Game Design Track, which will help attendees "understand and exploit the possibilities of new technologies," and also explore the "challenges and ramifications of the interaction between new technologies and established techniques." Second on the list is GDC's Visual Arts Track, which "delves into the nitty-gritty of the artistic side of games, and [also] offers longer format classes to allow speakers the time to walk attendees step-by-step through the latest tools and techniques." Bosslady Blog: Welcome To 2009! Happy 2009, everyone! While the holidays tend to disrupt the workflow of a good portion of the world, the Game Developers Conference team never takes a break. Itâ€™s like a coal mine over here. In a good way! A good coal mine. The 2009 Independent Games Festival (IGF) has revealed the finalists for this year's ninth installment of the pre-eminent indie game competition, with finalists showcased at the 2009 Game Developers Conference. From a record field of 226 entries, 30% over last yearâ€™s totals, a number of notable games scored multiple nominations this year. These include orbital osmosis sim Osmos (3 nominations), abstract PSN action-er PixelJunk Eden (3 nominations), time-reversing guitar-compatible antishooter Retro/Grade (2 nominations), and atmospheric ball-ambulator Night Game (2 nominations). Other examples of the finalists, which are viewable on the official IGF website, include charming exploration-game Blueberry Garden and music-based block puzzler Musaic Box, both double nominees, and several of the finalists for the new Innovation award, including Ratloopâ€™s Mightier, Jason Rohrerâ€™s Between and Tale Of Talesâ€™ The Graveyard. Finalists were decided by a panel made up of over 40 industry-leading game creators and journalists, including the makers of previous IGF honorees World Of Goo, Braid, Aquaria and N+; industry veterans from studios including Maxis, Big Huge Games, and SuperVillain Studios; and noted writers from Wired, Newsweek, and MTV. The organizers of the inaugural Localization Summit at the 2009 Game Developers Conference have announced initial speakers and sessions for the innovative two-day localization summit, including a keynote from Electronic Arts VP Jaime Gine and notables from BioWare, Sega, Babel, and more. The GDC Localization Summit will take place on Monday, March 23rd, 2009 at the Moscone Center in San Francisco as part of Game Developers Conference 2009. Englobeâ€™s Tom Edwards and Roehampton Universityâ€™s Miguel A. Bernal-Merino are the Summit's principal advisors. The recently confirmed keynote for the Summit will be 'Localization: The Pathway to Truly Global Game Development' from Jaime Gine, VP of International Development Services at Electronic Arts. Gine runs EA's worldwide localization efforts, including the company's Multilingual European Development Centre and the Singapore Integration Studio, translating the publisher's titles into more than 23 languages. Game Developers Conference 2009 (organized by Gamasutra parent company Think Services) is due to take place in San Francisco's Moscone Center from March 23 to 27, 2009. With over 230 sessions already confirmed for GDC 2009, we'll be taking a track by track look at the conference's line-up over the next few weeks. First up is GDC's audio track, which "looks at the game development process from the standpoint of developing dynamic video game sound, and offers direction for developers who wish to understand complex sound composition strategies." - Media Molecule's Kenneth Young will present 'User Generated Content - LittleBigPlanet's Audio Approach', highlighting the unique challenges of the PS3's signature holiday 2008 title, and focusing on "the thinking and methodology that lie behind its use of sound and music in the challenging landscape that is user-generated interactive entertainment."